An arc-flash occurs when the air surrounding a conductor becomes ionized, allowing the air itself to become an electrical conductor. 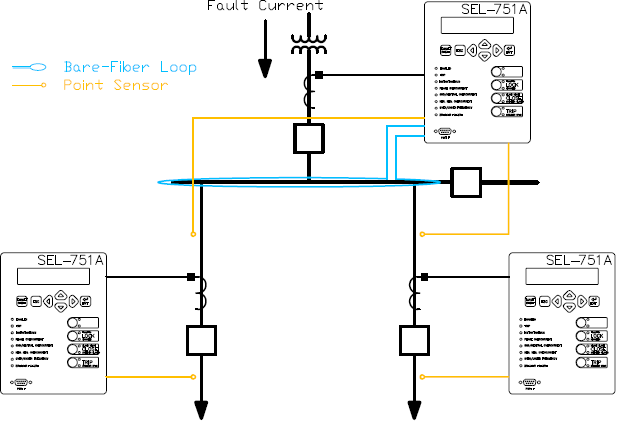 The resulting fault current creates a dangerous and potentially fatal release of thermal energy. is a voltage drop across the arc. I is an arcing current. t is a duration of a fault. The duration of a fault is the sum of a relay trip time and breaker clearing time. 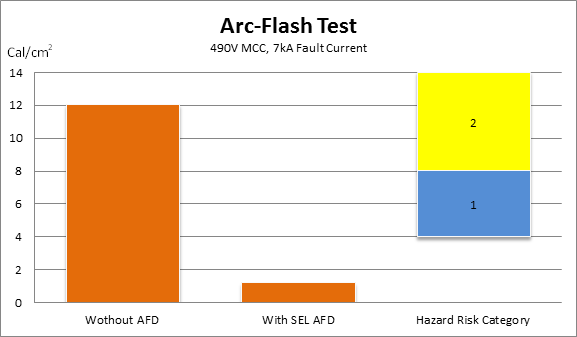 As a protection engineer, we will focus on how do we detect an arc-flash condition rapidly and trip right away. Every sensor has 2 fiber optic cables. One of the fibers is used for sensing the arc-flash light. Another one is used for a loopback test from a visible red LED, which flashes every 10 minutes in a special pattern. 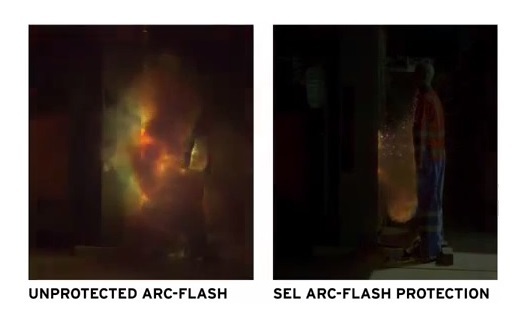 For more information about SEL arc-flash protection products, click here.